Joe McKnight: Mark Oppenheimer’s explanation of liberation theology in the New York Times underscores the Latin- and African America-birthed theology’s fundamental principles which are often wholly overlooked or deliberately maligned by President Obama’s detractors. For starters, liberation theology’s point of departure is foundationally not hate, intolerance, or racial division, but an interpretation of poverty and injustice as the primary concerns of the Gospel. In a world dominated by white male patriarchy, liberation theology has evolved in the last forty years to address the struggles not only of African-Americans and South Americans, but of Asians, Africans, women, and the queer community. In essence, liberation theology seeks to address the hierarchical inequalities that oppress minority groups the world over. Oppenheimer’s characterization of liberation theology as “hugely influential” lacks nuance and is largely misleading however. The call of justice for the poor is not at the heart of the church nor is a vision of an egalitarian society. Certainly at Union Theological Seminary, where James Cone, who Oppenheimer quotes in the article, has taught for over 40 years, liberation theology is dominant. The same cannot be said of Duke Divinity School, Dallas Theological Seminary, Southern Baptist Theological Seminary in Louisville and many others. The theological differences from seminary to seminary speak to a greater theological disparity in the culture at large. 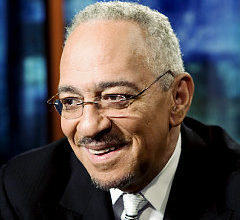 If liberation theology were so influential, how could a few thirty-second video clips of Jeremiah Wright, taken entirely out of context, have almost ended President Obama’s campaign in 2008? How could prison incarceration rates for African-Americans be six and a half times higher than that of whites, especially given their substantially smaller population? Why is it that the reproductive rights of women are largely determined by men? Why do men have the vast majority of legislative power anyway? Moreover, how could a man who said this have been regarded as less threatening than a man who said this? If liberation theology were so influential, then why is white male patriarchy still so pervasive?